The top two seeds at the start of play but when the initial phase of the Junior Girls’ Team event at the 2018 South American Junior and Cadet Championships concluded there was no main draw place for either Ecuador or Paraguay. Both suffered defeats on the opening day of action, Wednesday 21st March, third place was their lot. Defeats for Ecuador even though Nathaly Paredes remained unbeaten throughout the day; lining up alongside Emely Quinllin and Viviam Ruiz she beat both Natalie Ramos (11-7, 11-7, 11-7) and Valentina Rios (9-11, 11-8, 6-11, 11-7, 11-6) in the contest against Chile. In the ensuing engagement in opposition to Brazil, Nathaly Paredes overcame Livia Lima in a three-one defeat. 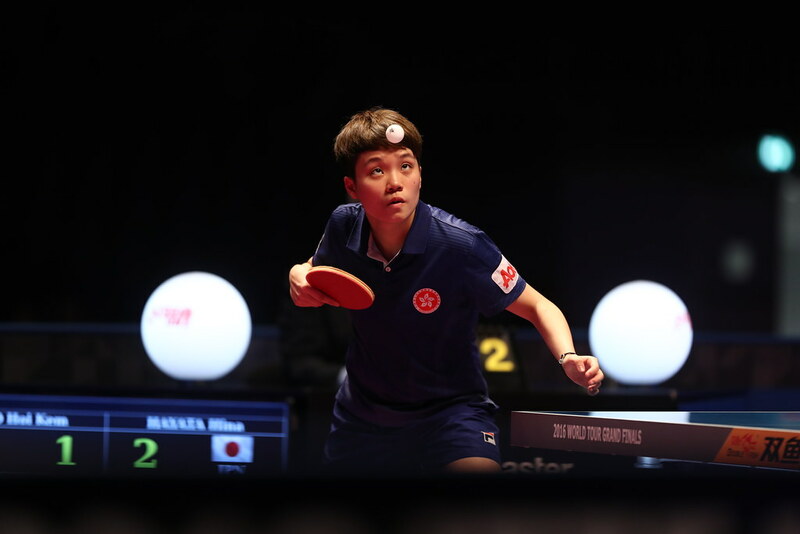 Later, Brazil with Livia Lima, Tamaryes Fukase with Fernanda Kodama on duty beat an unchanged Chilean outfit comprising Natalie Ramos, Valentina Rios and Claudia Infanta by three matches to one to top the group. Meanwhile, for Paraguay’s Leyla Gomez, Cielo Mutti and Panambi Caceres it was a three–one defeat in each fixture. Argentina, with Isabella Fragapane and Muriel Rajmil completing the team, duly topped the group; they beat Chile by three matches to two with the efforts of Kelly Santur proving to be in vain. She overcame both Isabella Fragapane (9-11, 11-8, 11-6, 11-3) and Camila Kaizoji (11-9, 11-9, 11-6) but that was to prove the sum total of Peruvian success. At the semi-final stage, Brazil plays Peru, Chile opposes Argentina; the Junior Girls’ Team event will be played to a conclusion on Thursday 22nd March.